Reside with a parent, parents or guardian who are gainfully employed or attending a job training or educational program; or receive, or need to receive, protective services. The child must be an Indian. The child must reside in the household of an eligible Indian citizen. The child must reside within the Seneca-Cayuga Tribe service area. The parent or legal guardian must submit all information required before eligibility can be determined. Parents may also be asked for denial letter from their Tribal affiliation, before services for childcare can be approved. 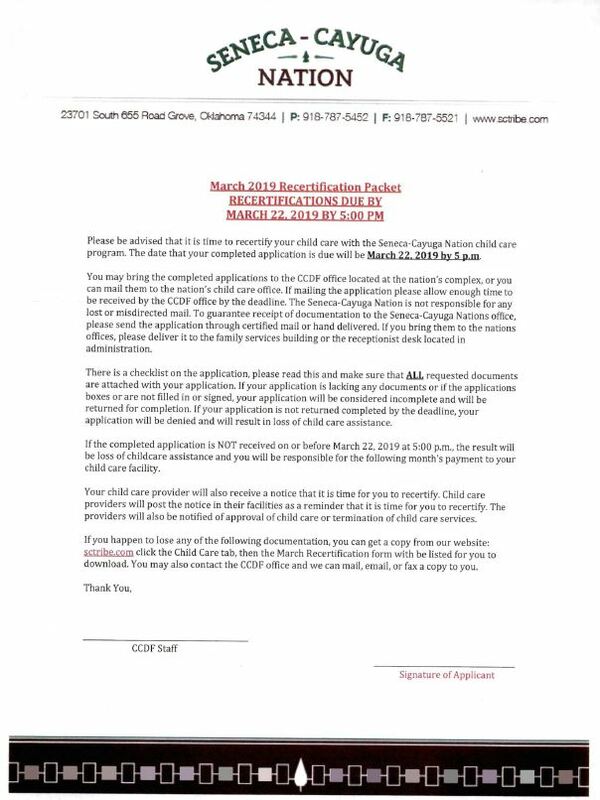 The original application form must be completed by the applicant and signed by the parent or legal guardian before processing. Faxed applications will not be accepted. About how many clients can you service every year?